For many, dedication to profession is often a top priority – and that’s probably a good thing, considering a large portion of our lives revolve around our careers. 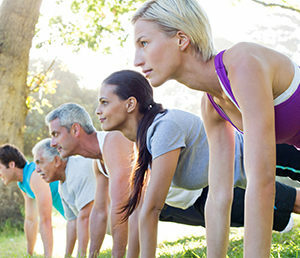 But when the decision is made to live a healthier, more active lifestyle, it can be difficult to integrate those new habits into your office routine, especially if your company doesn’t have a wellness program already in place. To help you create better healthy office habits, start with these four DIY tips. To those with a desk job, sitting in one place for most of the day can be very common. 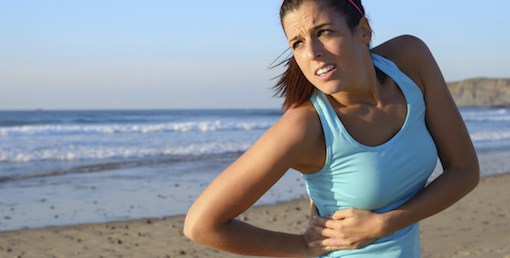 But doing so carries a ton of health risk, and can have long-term consequences on your back, neck, hips and shoulders. 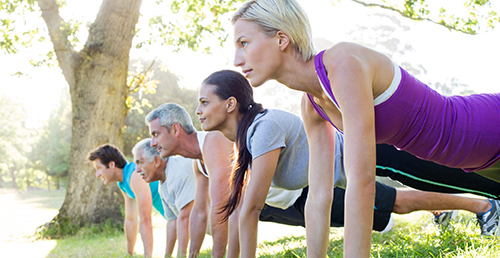 During the day, make it a point to regularly get up and move for at least a few minutes every hour or two. This can be stretching in the common area, strolling around your office building or even walking to lunch if you normally drive. To get the habit forming, you can set calendar reminders, and even wrangle in some of your other coworkers to help keep you motivated. Next time you’re sitting at your desk, take your posture into account. Chances are, the way you’re sitting isn’t ideal – a fact that can affect your mood, induce muscle pain and lead to negative health effects. One of the best healthy office habits you can form is sitting with your back straight, head up and shoulders back. You may need to reorganize your desk, and keep your posture top-of-mind until you begin doing it naturally, but in doing so you’ll feel a noticeable difference in performance and happiness. Additionally, having good posture shouldn’t just be limited to the office – keep it mind while driving, at the dinner table, at a conference or business meeting, etc. 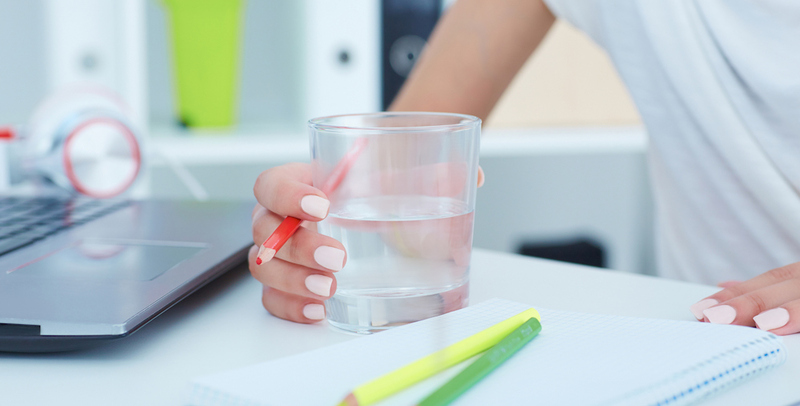 This healthy office habit may seem like a simple no-brainer, but you’d be surprised how few people stay properly hydrated at work. 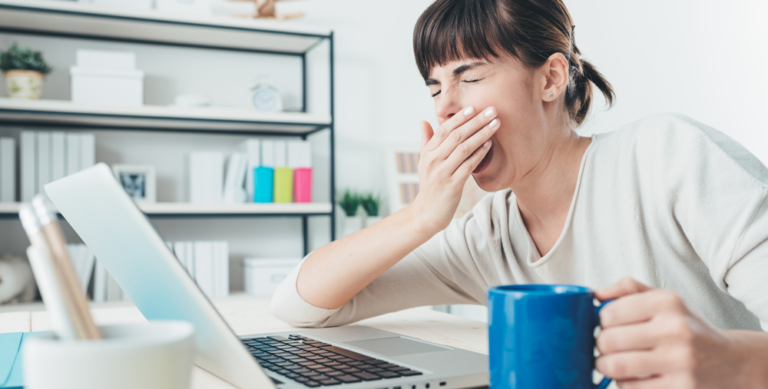 Dehydration can present itself in many forms while on the job – including food cravings, bad headaches, trouble focusing and feelings of grogginess. To prevent these effects, it’s important to make a habit of sipping on water throughout the day. 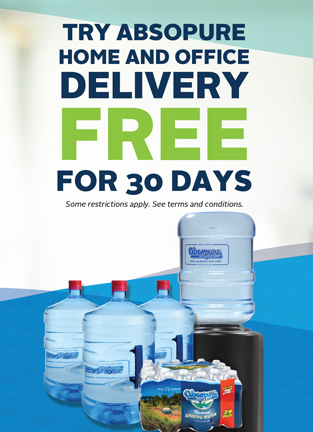 Make several more trips to the office water cooler, and if you don’t have one, lobby your office manager to consider office refreshment delivery services like Absopure. You can also bring your own bottle, and consistently fill it up until you’ve reached your daily recommended water intake. 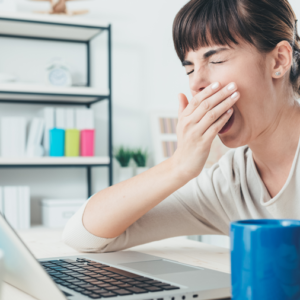 When most people fall into that afternoon slump at the office, they reach for a sugary treat – be it a snack or drink – to give them just enough energy to make it through the day. But if you’re committed to eating healthier, this strategy will no longer suffice. Instead of chips and sodas, make it a healthy office habit to always choose a better option. That could mean a home-cooked meal or light salad for lunch instead of the fast-food options nearby, and a bottle of water or cup of tea instead of sugary soda or energy drinks. You can also try adding grains, fruits and vegetables to your typical lunch. Do you have any healthy office habits to add to our list? Let us know in the comments! If you are interested in bringing in an office delivery service, there are a lot of reasons to choose Absopure. Visit our website to get started with a free trial!